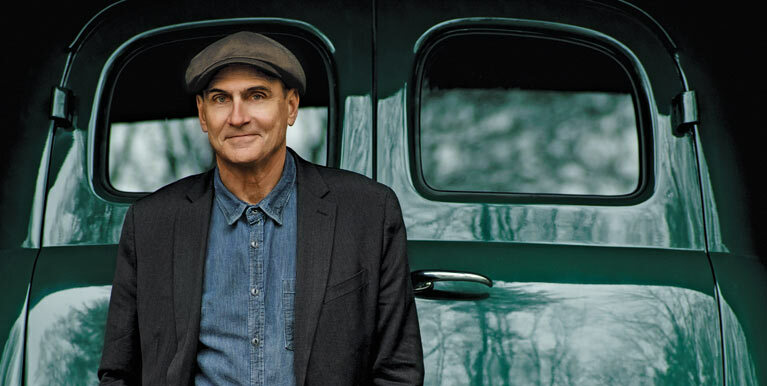 James Taylor…How sweet it is…. I had the opportunity to see James Taylor live on Friday night. While my kids didn't really know who he was, many of my generation will. He is someone we have listened to over many years, and really enjoy his music. It was such a gift to be in the audience on Friday night. As I observed James and the audience I thought he had several lessons to teach me. Passions mould experience and experience moulds our passions. While James sang many of the old favourites we had all come to hear, it was obvious that musically, he had other 'tricks in his bag'. He had surrounded himself with a great band and shared stories of his experiences over time that created the songs he wrote. Life intersects with and shapes our passions, and it makes both richer. Enthusiasm draws people in. I was so inspired by James and many of his band members - all in their 60's and possibly 70's....long time musicians that seemed grateful just to be able to play together. Whether the 'instrument' was voice, sax, or electric guitar, each one radiated a level of enthusiasm that was contagious. I know it was a performance - and I really got the feeling these guys loved it. And so, we responded as an audience with ovations, cheering, clapping and singing along...we were happy to be drawn in, and better for it. Real leadership shines a light on those that surround you. James made a great effort throughout the night to feature members of his 10 person band. Whether it was a vocal moment, or a drum solo, he highlighted almost everyone in his band. He introduced them respectfully, and seemed genuinely delighted to be working with them. While we all came to see James, through the evening, he showed us other musicians who are also gifted....he shared the spotlight effortlessly, delighting in the talent around him. For such an icon of music, I was reminded of the value of team, in leadership. Leaders mentor and support the next generation. As I listened to James Taylor and his band, I was struck by his choice of the vocal team. They were younger, up and coming musicians, at least 2 out of 3 had their own CD's, which he suggested we look to purchase at the break. It was obvious as he was on stage that he took great delight in their strengths, and was positive and complimentary as he interacted in front of the audience. Their voices were different than his, yet all blended and complimented beautifully. So much would be lost if he were to want them to sound like him, to replicate the music without space for their unique gifts. Confident in his own gifts, James was free to celebrate and support the gifts of others. While this concert was meant to be a fun night out - and it was - there are lessons I observed that I have been considering all weekend long. It was powerful to be a witness to such great leadership. To Coach or Not to Coach – That is the Question! I have known Heather for a number of years, and her passion for learning and her integrity shows up in her coaching. She has a way to hold space that really encourages the client to go deep and wrestle with what is really going on. I would definitely recommend Heather. Leadership coaching, through Heather Clayton Consulting, has demonstrated to me how the principles of coaching can transcend a variety of fields and professions and be so impactful. My time being coached by Heather has assisted in improving my effectiveness, priority setting and performance in a team environment. Our time together is personal, tailored to my needs and is a true partnership. The decision to engage Heather as a coach has been critical to my executive development and I am appreciative of her encouragement and assistance in goal-setting. Heather is the ultimate collaborator and a champion of unlocked potential. Her expertise in coaching, her knowledge of leadership development and experience in facilitation have been an invaluable asset in helping me and my colleagues grow in our roles and improve our organization. She steps into and occupies the ground in ways that encourages others to step in with her and see the possibilities. I would describe Heather Clayton as an archeologist in the world of leadership coaching and professional development. Her polished, contemporary and intentional methods support individuals and teams as they sift through layers of hurdles and unexplored territory, to unearth a metaphoric treasure in the form of sustainable self and team growth. Like an archeologist, Heather inspires individuals and organizations to take stock in shared visions, lean into discomfort for the cause, reverently dig without hesitation and celebrate each eureka moment, as part of the process. Heather is a true gift to ‘leadership archeology’, of whom many are benefactors. Heather Clayton’s passion for coaching and leadership development is inspiring, to say the least. Through her carefully crafted coaching questions, Heather helped me make a life-changing professional decision. Not only did I make the changes in my life but I also realized that I wanted to learn more about how these types of questions empower us to be more confident decision-makers. As well, I started to pay attention to how I could help others through the art of using coaching questions. Heather is an extremely knowledgeable, energetic, and enthusiastic presenter. She has a natural way of engaging her audience and quickly gaining their confidence. Her presentations are very interactive and she utilizes a wide variety of strategies to convey her message. Heather is a very effective, very professional and very entertaining presenter. When she is in front of a crowd, she is informed, well prepared, and focused. As Director of Learning at our school, her themes are central ones for pedagogy at this time: She speaks well about brain research, leadership, student pathways to learning, and teacher professional growth. Heather devotes considerable time to preparing herself for her audience, and delivers a crisp and intentional presentation that shows everyone she has treated their attention and time with respect. People always go away from her sessions with many gems for practical application to their work.